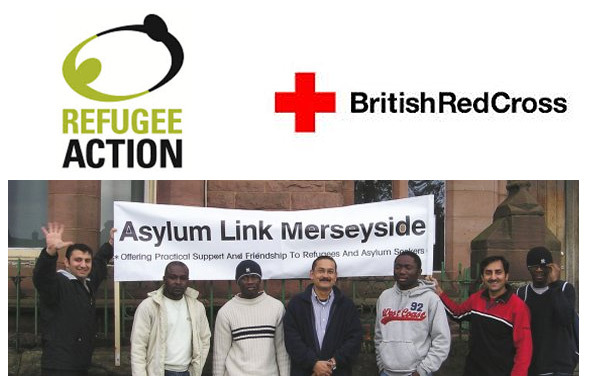 A project which has the aim of providing a high quality support service to asylum seekers who are at risk of, or experiencing destitution, was set up by the Liverpool-based British Red Cross in 2013 in association with Asylum Link Merseyside and the Liverpool branch of Refugee Action. Titled the Liverpool Asylum Outreach And Support Project (LAOASP), the three agencies work together to meet the needs of service users through various ways, including one-to-one complex casework support, group information sessions and help with providing food and clothing. “Many of our trained volunteers are refugees themselves,” said a Red Cross spokeswoman. “They are able to speak a wide range of languages and can offer essential support and advice. “From new arrivals to failed asylum seekers, thousands each year find themselves cut off from Home Office support or welfare benefits. We respond to this by giving them expert advice on accessing whatever limited resources are available to them. One of the prime goals of Asylum Link Merseyside is to provide high intensity one-to-one casework to help prevent or reduce the effects of destitution on asylum seekers and refer individuals to organisations where they may qualify for support. They also liaise with doctors and MPs on behalf of asylum seekers. Refugee Action assist people who have recently arrived in Liverpool, who are awaiting their asylum decision or going through an appeals process. Their aims are to help service users prepare for the possibility that they may become destitute; help individuals make decisions to prevent destitution; and help reduce the effects of destitution, if service users encounter it. “By using Refugee Action’s ’empowerment through knowledge’ principle, we help beneficiaries select the right option or options,” stated a spokesperson for them. The Liverpool branch of the Red Cross is based at Bradbury House, Tower Street, Brunswick Business Park. Asylum Link Merseyside is located at St. Anne’s Centre in Overbury Street. Refugee Action Liverpool is based at 64 Mount Pleasant.